8. 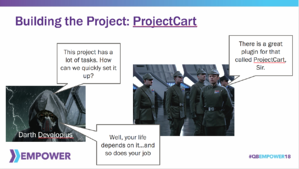 We’re following up to part 2, Imperial Best Practices: Managing Projects and Resources with this entry about scheduling from a project management standpoint. But we’ll skip the fancy intros—when you’re trying to crush the rebellion, time is of the essence. VeilSun, a growing cloud computing professional services firm specializing in low-code / no-code development and the Quick Base platform today welcomed Ty Shewmake as their Chief Technology Officer. Mr. Shewmake has been charged with helping VeilSun shape the technology future of this PaaS development leader. 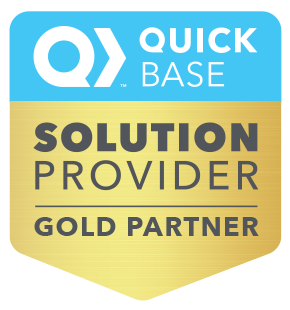 A recognized IT leader and Quick Base Product Council member, Mr. Shewmake has been part of the Quick Base developer community since 2008. 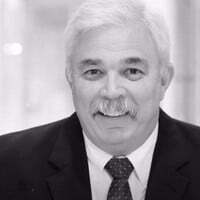 Since 1996, he has held CTO positions across industries from banking, to mining, to professional services. He joins VeilSun as the company expands its share of the exploding of the low-code / no-code marketplace, which is expected to reach $27 Billion USD by 2022. How Much Does Quick Base Cost? As unapologetic Quick Base ambassadors, it’s a question we get asked all the time: how much does Quick Base really cost? And it’s a fair one. Knowing it’s such an important question, we like to think there are three different ways to frame the answer. 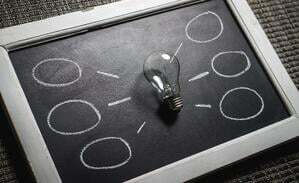 This blog will discuss each of those approaches in greater detail. In our last blog, we shared part 1 of our talk, “Building a Better Death Star,” given at EMPOWER 2018. 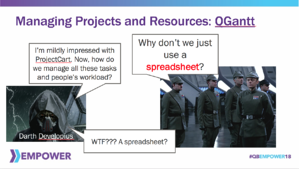 This blog will cover part 2, Imperial Best Practices: Managing Projects and Resources. It’s clearly an important topic. After all, you don’t build a moon-sized ship without knowing how to manage your projects and resources. We’ll highlight five tips here. As promised, here’s part 1 of the follow up to our talk, “Building a Better Death Star,” at EMPOWER 2018. 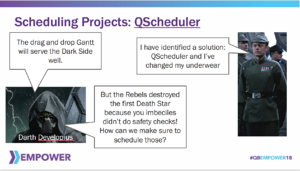 This blog will cover Imperial Best Practices: Building Project Plans. Bear in mind that a lot of these are very common project management processes for project management professionals but are hard to institute without Quick Base. As you know, we’re never ones to toot our own horn. However, sometimes outside entities intervene to give us confirmation that our quality-first approach is working. And that’s just what happened recently. 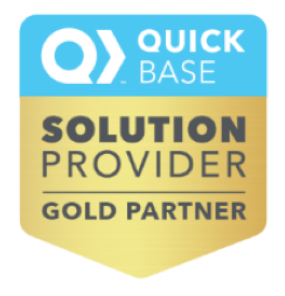 VeilSun is (humbly) proud to announce we just received the Quick Base Gold Partner Award—an honor given to only five solution providers in the world. As with everything associated with Quick Base, winning this prestigious designation meant hitting a long list of quality performance indicators. As we mentioned in our last blog, we recently got back from Empower 2018. It was filled with all of the knowledge sharing you’d expect, as well as great networking and exciting announcements. Perhaps the biggest revelation of the week came on the first day when the Customer Award Winners were announced. 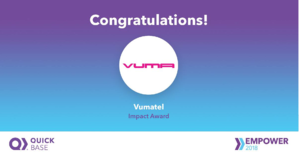 We’re proud to say the company we nominated, Vumatel, won The Impact Award, given to the organization that demonstrates the results of driving ideas into action for their organizations every day. We knew 2018 was going to be a banner year in many ways. In fact, we’d deemed it the Year of Experiences. 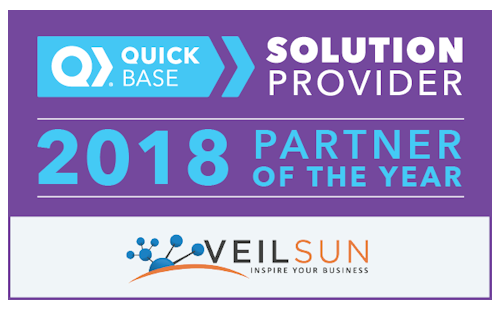 And that’s why we’re so honored to be selected as Quick Base Partner of the Year for 2018. 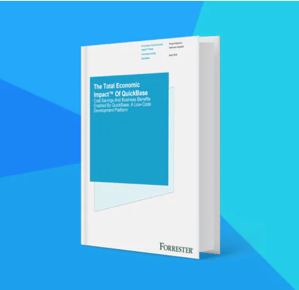 We’ve talked before about how Quick Base really is the perfect solution for enterprises. It solves a lot for Enterprise IT because it’s a single, flexible, not pre-packaged platform that fits in so many places within the enterprise. Best of all, it gives them total control and complete governance with very little implementation. In this blog, we’ll take a little bit deeper dive into some more specifics of how Quick Base can solve enterprise problems.